Need a bit of organization in your tote bag or diaper bag? Looking for the perfect teacher gift? Look no further than this sweet Traveler Lite. 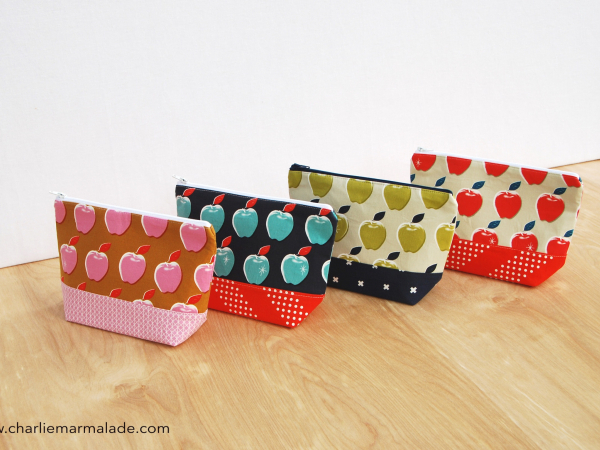 Measuring 8.5" wide and 5.5" tall, this little pouch can be used for a variety of things. The 2.5" gusset bottom ensures your pouch will remain upright when set down. 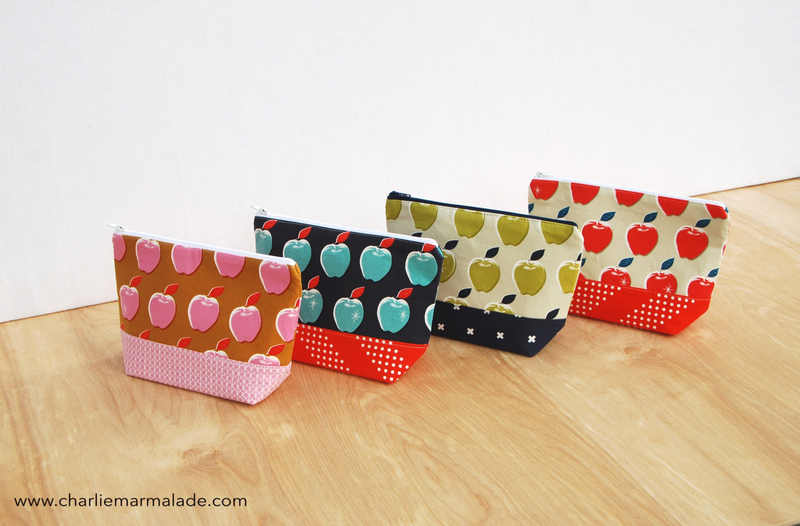 This Traveler Lite pouch features a fun red apple print with a coordinating red base. The interior is fully lined with a gold metallic polka dot.